While it may be a bit of a generalisation, we'll go ahead and say that fashion girls love cats. Just take a scroll through Instagram if you follow a lot of the aforementioned ladies and it will undoubtedly be riddled with selfies with fluffy cats. If you want to get a girl who's obsessed with her feline friend a gift that she's guaranteed to appreciate, why not make it something that feeds into her number one love? 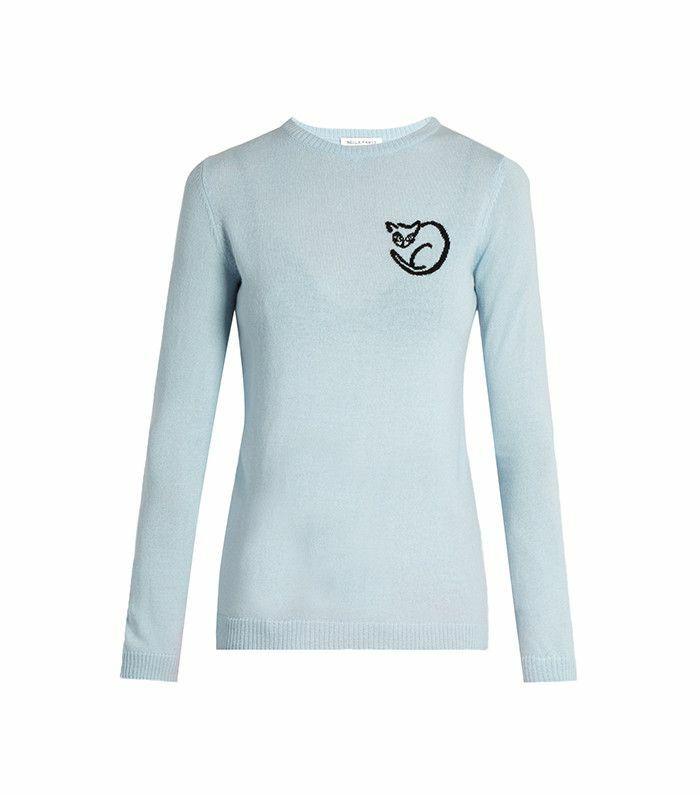 Luckily, we have found a host of stylish items that are perfect for cat lovers, some of them for her and some for her friend (happy cat, happy girl). In a range of various prices, we sourced gifts from the likes of ASOS, Gucci, Madewell, Catbird (naturally), and more. So whatever your budget and whatever degree of cat subtlety you're seeking, you're sure to find something among these 13 ideas. Keep scrolling to shop the best holiday gifts for the feline-inclined. This sweet sweater was practically made for Instagram selfies. Here's an adorable way to help her stay organised. Every cat lover's denim jacket needs one of these. We'd be hard-pressed to find a cuter cat-themed graphic tee. Behold the perfect gift for a cat-loving jet-setter. Her ear party needs one of these. This is coffee table gold. Every cat lover follows this Instagram account. Make this dainty ring part of the gift-wrapping (and gift) by looping it through the ribbon. This is the perfect size for an on-trend mini bag. She'll think of you (and her cat) every time she pulls out her keys. Next up! The high-street coat every girl-in-the-know has bought already.